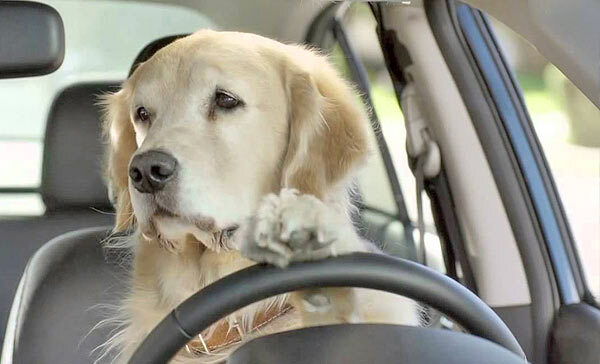 CAR AUTOMAKERS THINK IN YOUR PET. Some automakers are creating cars and vehicles and specially SUVs with special features designs so that you can take your pet with you and drive safely. Fourty five million U.S. families have a pet or pets and 80% usually walk by car with them, but only 17% travel with special safety. Currently, there are many cars and features designed to protect your pet and the AAA listed the best. In the luxury segment, is the BMW 3 Series Wagon with a sport behavior and a large cargo area. The Volvo XC60 offers special accessories such as divisions so that your pet will not go to the passenger area. The Subaru Forester pampers your pet with 68 cubic feet in the baggage compartment, ideal for dogs of any breed. In addition to good performance off-road, the Hyundai Santa Fe offers rugs, beds and special divisions for your dog. The Honda Element goes further with a kit that includes a ramp, bed and ventilation for your pet travel comfortably. Who developed the Toyota Venza is a dog lover, since among its outstanding functions, offers a special gate. It also includes a high resistance cover for the seats, harnesses, besides the quiet handling. Among the funny cars, is the Mazda3 hatchback version, that provides ideal space for medium dog breeds for example. The Mini Clubman is the largest of the line, and the design of their doors allows an easy access to your pet. For the ecologists, it is the Ford Escape Hybrid, which its size is perfect for almost any race. If you want something cheaper, it is the Kia Soul which offers ample space and accessories such as cages or divisions. The interior of the Nissan Cube is very wide, especially if you fold the seats and also there are several accessories available.